"Money is what fueled the industrial society. But in the informational society, the fuel, the power, is knowledge. One has now come to see a new class structure divided by those who have information and those who must function out of ignorance. This new class has its power not from money, not from land, but from knowledge." The rules have changed. As we emerge from the recession and begin a slow recovery, it is becoming clear that new approaches to personal financial planning are essential. The Great Recession has altered the way individuals and families think about money and financial security. They seek new ways to protect what they have and make prudent money decisions in the future. 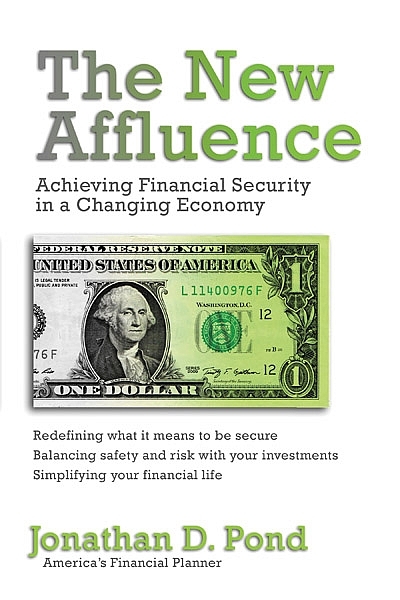 The New Affluence lays out a plan to achieve and maintain financial security under the new rules. The New Affluence will redefine what it means to be financially comfortable - and what is required to overcome inevitable future challenges, whether they arise personally or as a result of another economic tsunami.